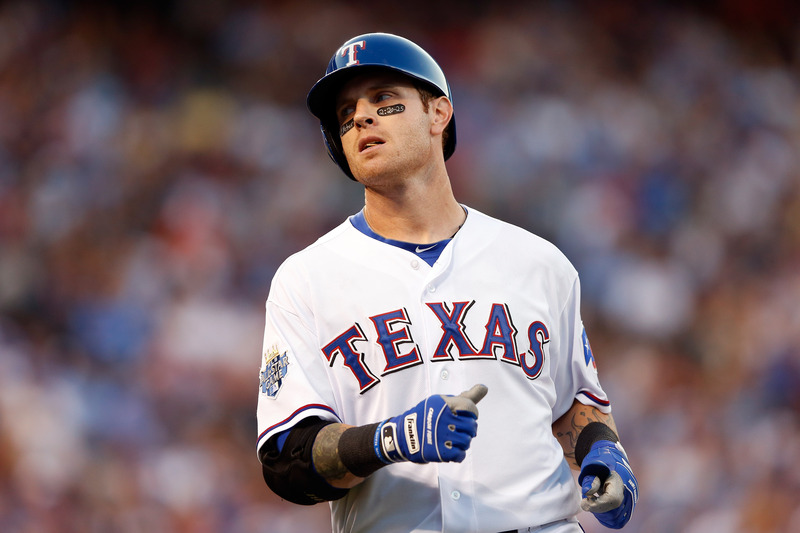 FORT WORTH, Texas Josh Hamilton has agreed to a contract with the Los Angeles Angels, according to Texas Rangers manager Jon Daniels. The deal is for five years and $125 million, reports CBSSports.com's Jon Heyman. The mutual interest between Hamilton and the Angels was first reported Thursday by Joe McDonnell of Fox Sports West. Texas had hoped to sign the 2010 AL Most Valuable Player, who led the Rangers to consecutive World Series appearances in 2010 and 2011. Speaking Thursday after a Rangers' holiday luncheon, Daniels said he had just been informed of the decision by Hamilton's agent, Michael Moye. Daniels said he was disappointed "to some degree." "But it's business and everybody's got to make their own calls," he said. Hamilton joins a team that spent big last offseason to add first baseman Albert Pujols for $240 million and pitcher C.J. Wilson for $77.5 million. Yet, the Angels disappointed and failed to make the playoffs. The agreement came days after the Los Angeles Dodgers added pitchers Zack Greinke and Ryu Hyun-jin, boosting their payroll over $200 million. Hamilton's addition to the Angels outfield means Mark Trumbo could be moved to third base or traded. Daniels met with Hamilton last week at the winter meetings in Nashville, Tenn. Daniels said then that Hamilton had told Texas he would contact the Rangers before agreeing to a deal with another team. "I said all along this wasn't like restricted free agency in the NFL, with an offer sheet," Daniels said. "I never expected that he was going to tell us to the dollar what they had, and a chance to offer it. Our full expectation was the phone call was going to be before he signed, and certainly not after." The 31-year-old was considered a risk by some teams because of his history of alcohol and substance abuse, which derailed his career before his surge with the Rangers over the past five seasons. "We indicated last week he told us that he felt it might be time to move on, but that we were still talking," Daniels said. "We had additional conversations this week. We thought they moved along in a positive direction, but apparently not." In May, Hamilton set an AL record with 18 total bases, going 5 for 5 with four two-run homers and eight RBIs in a 10-3 victory against the Orioles. Hamilton became the 16th player in major league history with four homers in a game. Hamilton went from first-round draft pick by Tampa Bay in 1999 to out of baseball altogether because of drug and alcohol addiction. He recovered and returned to MLB in 2007 with Cincinnati, and was traded to Texas, where he became a star.